Adopted on April 30, 1998. 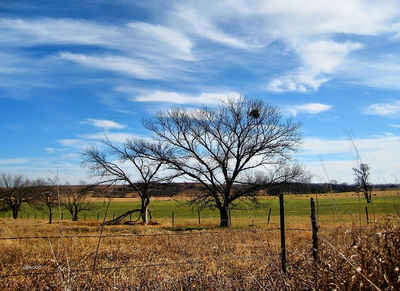 Les Gilliam is the official "Oklahoma Balladeer", so designated by the Oklahoma State Legislature on April 30, 1998. Les Gilliam is an award-winning singer/songwriter and recording artist from Gene Autry, Oklahoma. Gilliam's concerts include cowboy, western swing, country and gospel music along with fascinating stories about the songs and artists who performed them. Gilliam's performances include his original songs with accompanying lighthearted humor, offering a touch of nostalgia and old-fashioned patriotism. Les Gilliam is a native of Gene Autry, Oklahoma and is a singer, songwriter, and recording artist. Les has been voted one of the top five male performers in western music by the Western Music Association. He is currently based in Ponca City, Oklahoma and entertains both as a solo act and with his band, The Silverlake Band. He is a former member of the Big D Jamboree in Dallas. Les has recorded six albums as well as two videos. He is a member of the Oklahoma Arts Council Touring Program as well as the Heartland Arts Alliance based in Kansas City. Some of his recent noteworthy performances include the Kennedy Center in Washington, D.C.; Silver Dollar City in Branson, Missouri; The International Country Music Festival in Vienna, Austria; The Gene Autry Film and Music Festival in Gene Autry, OK; Rex Allen Days in Wilcox, AZ; Prairieville Farm Days in Michigan; The Bakersfield Opry in California; Western Music Festival in Tucson, AZ; The Cowboy Hall of Fame in Oklahoma City; The Oklahoma Music Hall of Fame in Muskogee, OK; and many others. 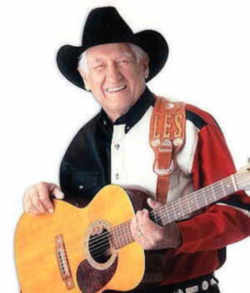 He has entertained with some of the top names in Western Music including Riders in the Sky, Rex Allen, Jr., Roy Rogers, Jr, Johnny Western, Don Edwards, Red Steagall and the Sons of the Pioneers. He has been featured with many top Country Music Acts including Johnny Cash, Bill Anderson, Hank Thompson, Sonny James, Cal Smith, Billy Parker, Jack Green, Jan Howard, Jett Williams, and others. Les' concerts of country and/or cowboy music include fascinating stories about the songs and the artists who performed them. His country dances feature the tops in Western Swing Music and fun activities for the audience. He always includes original songs and humorous material, adding a touch of nostalgia and good ole fashion patriotism. A Concurrent Resolution designating Les Gilliam to be The Oklahoma Balladeer; and directing distribution. WHEREAS, Les Gilliam has been a prominent goodwill ambassador for the State of Oklahoma and deserves official recognition of his services to this state. THAT Les Gilliam is hereby designated The Oklahoma Balladeer, to commemorate his many accomplishments and to give evidence of the high esteem held for Les Gilliam in this state. THAT a copy of this resolution be dispatched to Mr. Les Gilliam. Adopted by the House of Representatives the 29th day of April, 1998. Adopted by the Senate the 29th day of April, 1998. 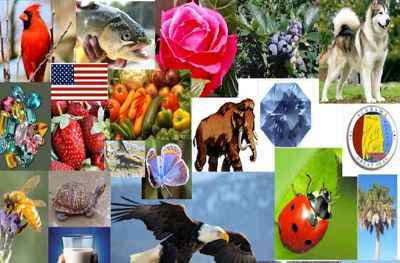 State symbols represent things that are special to a particular state.